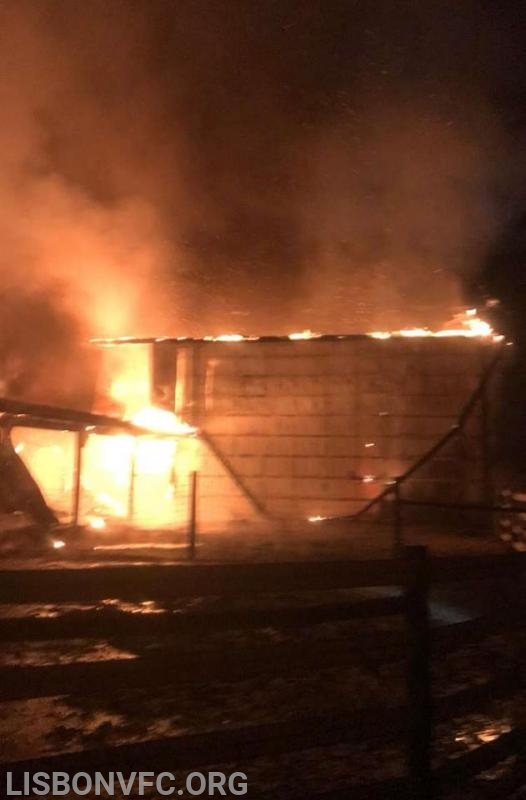 At approximately 1:30 a.m. on Monday February 11th units from Lisbon and surrounding companies from Carroll, Montgomery and Frederick counties for a barn fire in the 600 block of West Watersville Rd in Mt. Airy. 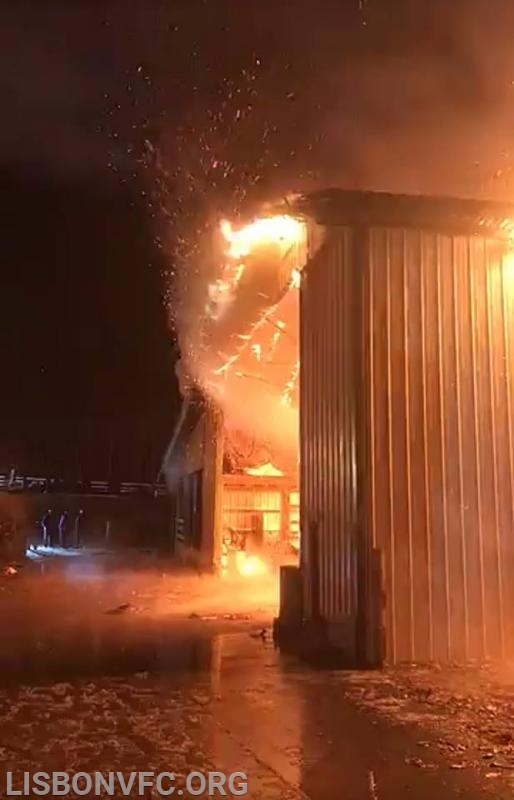 E41, ET44, and P45 responded along with units from surrounding companies and arrived to find a large barn well involved. 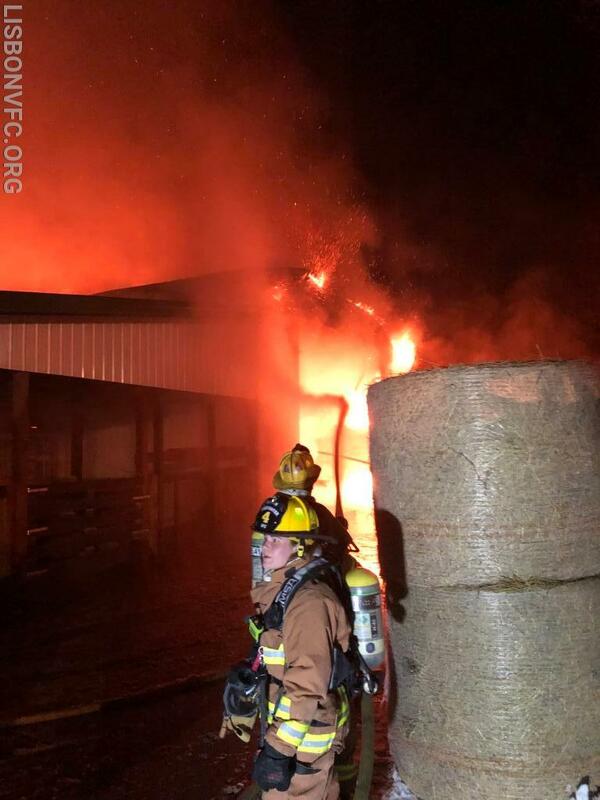 Command was established and crews worked to protect exposures and limit damage to the structure. Additional tankers were requested to assist with maintaining an adequate water supply. 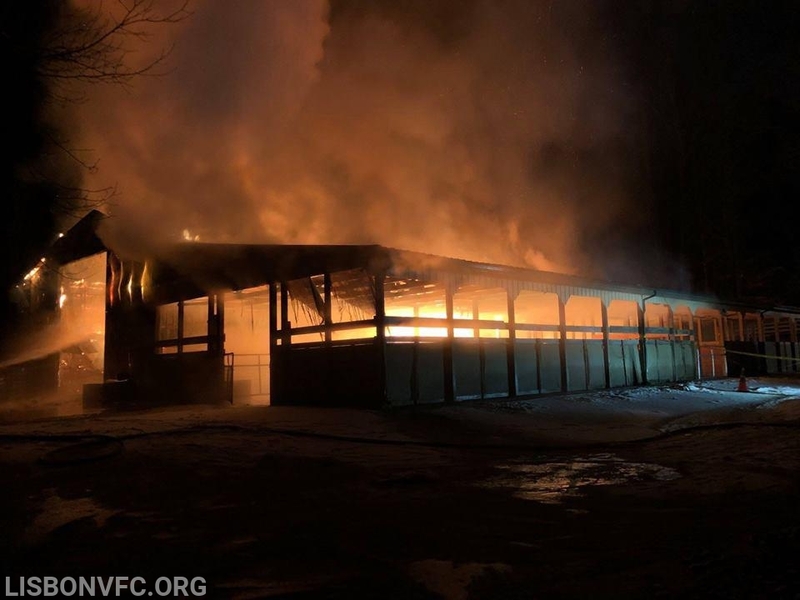 The fire was placed under control at approximately 5:00 a.m. Units remained on the scene until almost 10am. There were no reported live stock fatalities. The scene was turned over to the HCDFRS Office of the Fire Marshall for investigation. We would like to thank the Winfield Community Volunteer Fire Department for covering our area with E142 while our units were committed to the fire.